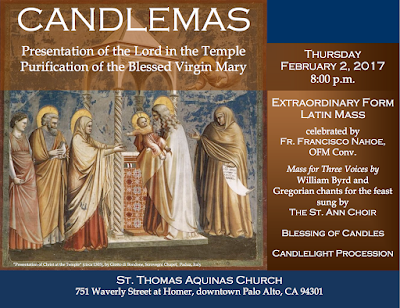 On Candlemas, February 2, at 8:00 p.m., a sung traditional Latin Mass will be celebrated at St. Thomas Aquinas Church. located at 75 Waverly Street in Palo Alto, California. 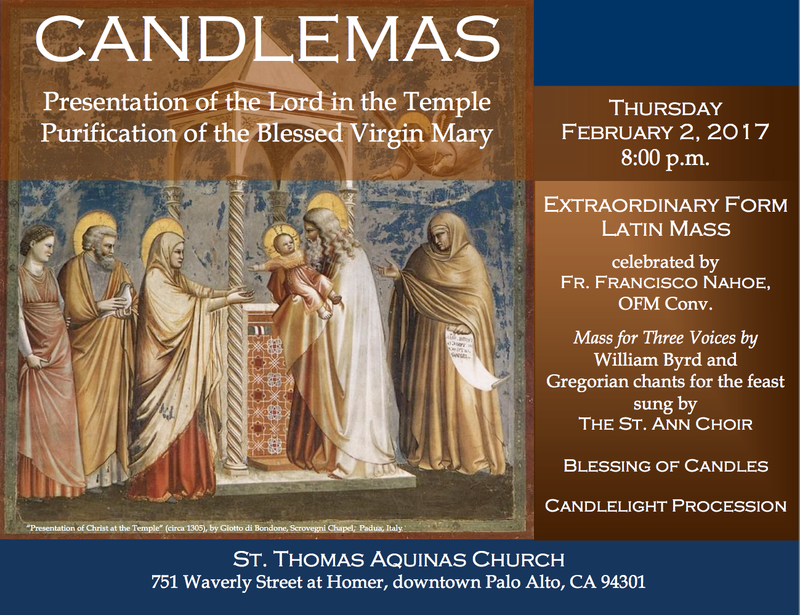 Every Sunday, a sung Latin Mass is celebrated at the church, but this Mass on the feast of Candlemas will be the first Extraordinary Form Mass celebrated there since the Mass of Pope Paul VI was introduced in 1969. The St. Ann Choir, under the direction of Prof. William Mahrt of the Department of Music at Stanford University, will sing the Mass for Three Voices by William Byrd and Gregorian chants proper to the feast day. The celebrant will be Fr. Francisco Nahoe, a friar of the Conventual Franciscan Order.